better than i could have imagined: lately. 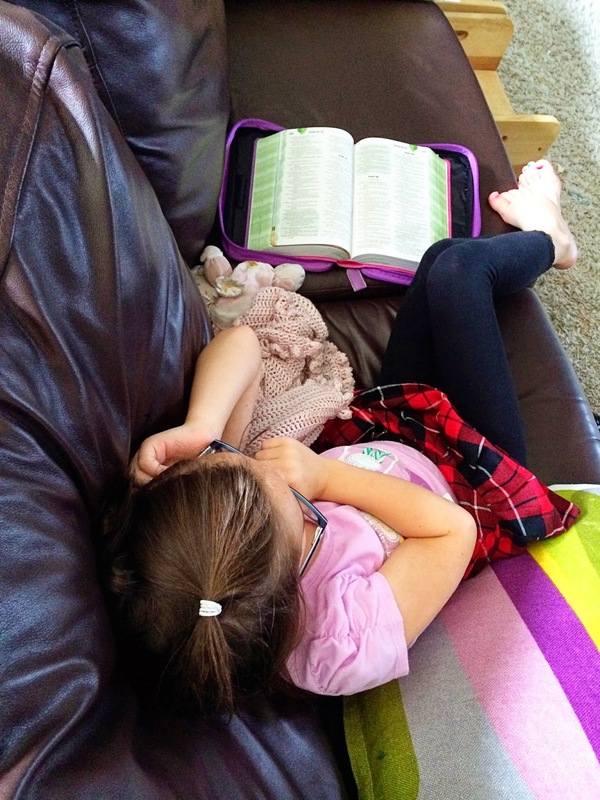 Parker has been asking for her own bible for quite some time…and so we ended up getting her a Children's Discovery Bible NIrV (New International Readers Version) which is for emergent readers ages 6-10. It is a complete Bible just written more on their level (I guess that's the best way to word it?) She's carried it everywhere with her for the past week. Geoff worked on Father's day so we snapped this picture and sent it to him. So funny. 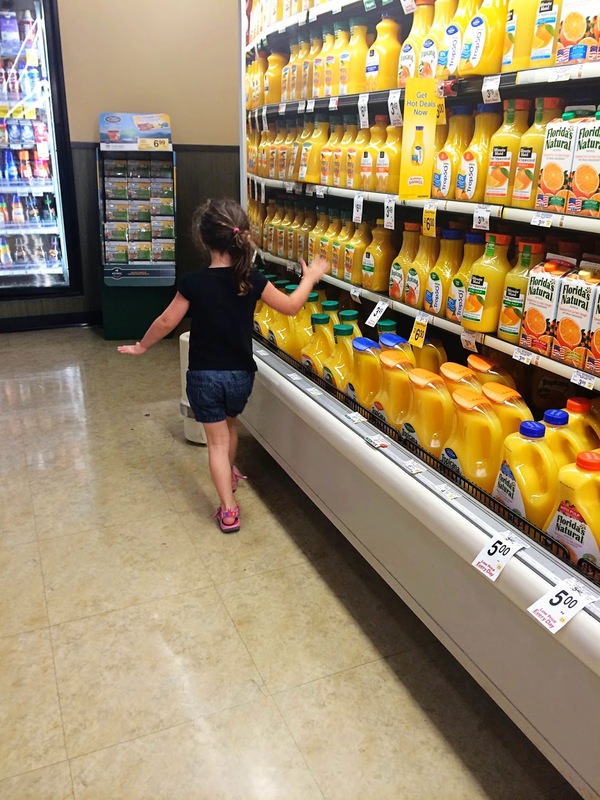 The other day I took Grace and Nolan with me to the grocery store. Grace asked me SEVERAL times that if she didn't touch anything, would she still have to wash her hands when we got home. To which I told her that she would not. She dances around here and there as I shop, but makes sure not to touch anything. Well- after about 5 minutes…she says in such a defeated voice, "Oh all right. I guess I'll just wash my hands when I get home." And proceeds to pretty much touch anything and everything she can. Ha ha ha!! Sister had her first experience of VBS and LOVED it. She teared up on Tuesday when she finally let it sink in that VBS would only be this week. And while big sis was off at VBS…middle sis was able to get some quality time with me while Nolan napped. Yesterday- we prepped dinner together. She had so much fun. After each task we'd complete she'd ask, "Are we finished now?" I'd say, "No…not yet…we still have to do this and this and this." She'd smile and say in such a grown up voice, "Ok good." Not sure who enjoyed the time more. One afternoon after lunch I filled up the kiddie pool and sand cart…put this guy in a swim diaper and his swim top and his hat (I tried to avoid putting on sun screen since we'd be out for only a short time)….and he was a happy boy. Then this morning he got down and dirty. He was having the best time. I lifted my phone up to take a picture and he automatically leaned forward and gave me this 'cheese' smile. Absolutely adorable. Love this boy. My little family winding down at the end of the day. Life is definitely good. Just weeding through my priority list slowly but surely. As usual, loved all the pics. 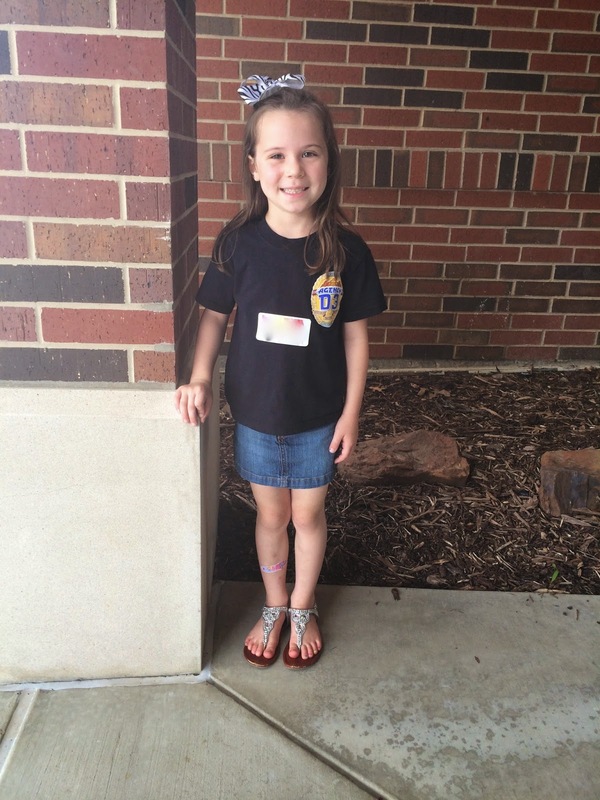 But Marla, the second pic of Parker on VBS day(w/o her glasses) really took be back. Look at it again. She's the spitting image of you in that picture. I've always thought they each have 'you' anyway with predominantly Geoff genes(ha, don't know if that's the right way to put it...but you know, they do all look like him). Well enough of that, glad Grace got some special time with you, sweet little Grace. Love seeing Nolan cheesing at your camera. One thing about it sweet girl, your babies learned very young what a camera was! Such blessings!